Brooks lamented the likelihood that Republicans would double down on traditionalism rather than update their philosophy. Some of us hoped that by reforming his party, which has grown so unpopular, McCain could prove that he could reform the country. But McCain never ... articulated a governing philosophy ... [The McCain campaign] was all biography, which was necessary, but it did not clearly point to a new direction for the party or the country. He is a gracious and ecumenical legislator, not a combative one. 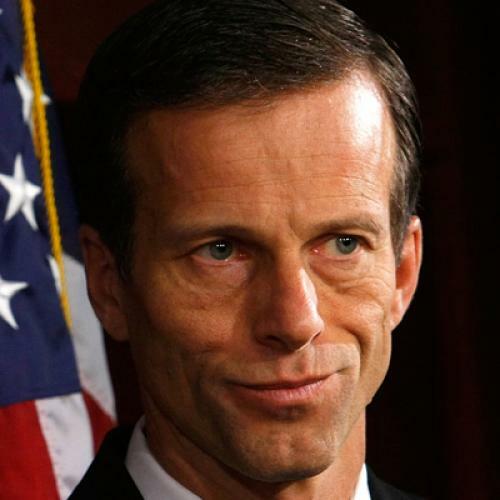 ... Thune also possesses the favored Republican profile du jour: conservative at the roots but pragmatic at the surface. So Thune is basically a traditional Republican (no new ideas here), except without the hard edges. In fact, Brooks announces at the outset that the case for Thune is pretty superficial, leading with: "If you wanted a Republican with the same general body type and athletic grace as Barack Obama, you’d pick Thune." Back when Brooks and his reformist allies (people like Ross Douthat and Reihan Salam, both of whom I also really respect) first advised reorienting toward working-class economic needs, some of us (okay, me) warned that it would be almost impossible. Given the structure of the party--the wealthy economic libertarians who bankroll it; the nutty, anti-government base that helps pick its nominees--there simply isn't a vehicle for advancing these ideas within the GOP. Brooks has partially conceded that point. "Traditionalists have the institutions," he wrote in his 2008 post-election column. "Over the past 40 years, the Conservative Old Guard has built up a movement of activist groups, donor networks, think tanks and publicity arms." But he was optimistic that reformism would eventually win out. "[S]ome new Reformist donors and organizers will emerge. They will build new institutions, new structures and new ideas, and the cycle of conservative ascendance will begin again." The second thing to say here is, if you're a reformer grappling with the reality that reform is really hard, maybe the off-year elections persuade you it's not *so* urgent. In his 2008 post-election column, Brooks predicted that Republicans would keep losing for a while. "In short, the Republican Party will probably veer right in the years ahead, and suffer more defeats." That was easy to believe in the dark days of GOP hopelessness--say, between fall of 2006 and early spring of this year. But, as Brooks pointed out Friday, a Thune-style Republican--"conservative at the roots but pragmatic at the surface"--just became governor of Virginia. And Republicans will almost certainly make gains in next year's mid-term elections. To be fair, Brooks says at the end of the Thune column that "Republicans are still going to have to do root-and-branch renovation if they hope to provide compelling answers to issues like middle-class economic anxiety." I completely agree. But if the David Brookses of the world are touting the John Thunes of the world in the meantime, one wonders where that renovation is going to come from. P.S. For what it's worth, Salam and Ramesh Ponnuru, another reformist conservative I admire a lot, were also heartened by Bob McDonnell's win in Virginia. Both deem him consistent with where they think the party needs to go, and both downplay the influence of the Tea Party movement nationally. They make some good points, though I don't find them entirely convincing. Anyway, I'd be curious to hear their thoughts on Thune as presidential candidate. P.P.S. Here's a profile of Pawlenty I wrote amid the VP chatter last summer. I focused on how his Sam's Club Republicanism was pretty superficial--and that was before he started repudiating his earlier environmentalism and writing Olympia Snowe out of the GOP.